Are you feeling lousy and need a reset? This Detox Smoothie Recipe will help naturally flush toxins out of your body! Hey, hey! Before I get to today’s post, I want to make sure you know about the Ultimate Healthy Meal Planning Bundle that is on sale this week only! This resource has everything you need to conquer meal planning and help your family eat healthier this year, including ready-made plans, recipes, and grocery lists. Learn more here! After Friday, you’ll have to purchase everything in the bundle individually–so don’t wait or you’ll miss out! Raise your hand if you had too much sugar over the holidays. Oh, you, too? I do a lot of preaching on moderation and balance and I think it’s totally okay to indulge a little more than normal over a period of time when you’re celebrating with friends and family. Life is too short to always say no to the cookie. I also think it’s totally okay to recognize that after said indulgences, we feel like crap and are reaffirmed that we don’t want to eat that way all the time. And maybe we need a little extra something to help our bodies get back on track. Our bodies are designed to detox naturally. When we are really feeling like we overdid it and want a fresh start, though, it doesn’t hurt to eat foods that help that natural process even more. That’s where this Detox Smoothie Recipe comes in. 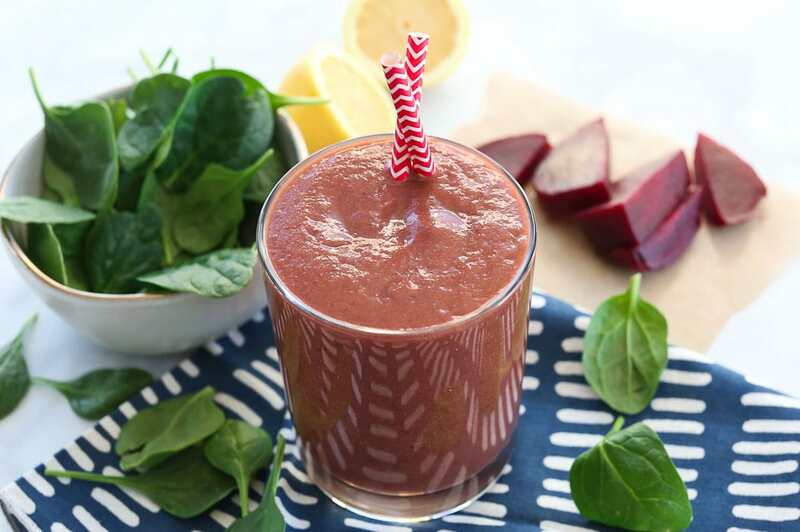 Let’s take a look at what’s in this Detox Smoothie Recipe and how these foods are going to help your body with the detoxification process. Beets: source of powerful phytonutrients called betalains, which provide antioxidant, anti-inflammatory, and detoxification support. Lemon: source of vitamin C to support your immune system and compounds that stimulate your liver. Avocado: excellent source of antioxidant and anti-inflammatory nutrients. In addition, the fat helps with the absorption of other nutrients. Spinach: alkalizing and contains chlorella, which helps to cleanse and increase the oxygen in your blood, improving your cellular health. Cinnamon: great source of antioxidants with anti-inflammatory properties and is known to help stabilize blood sugar levels. Water: this is crucial to efficient detoxification. 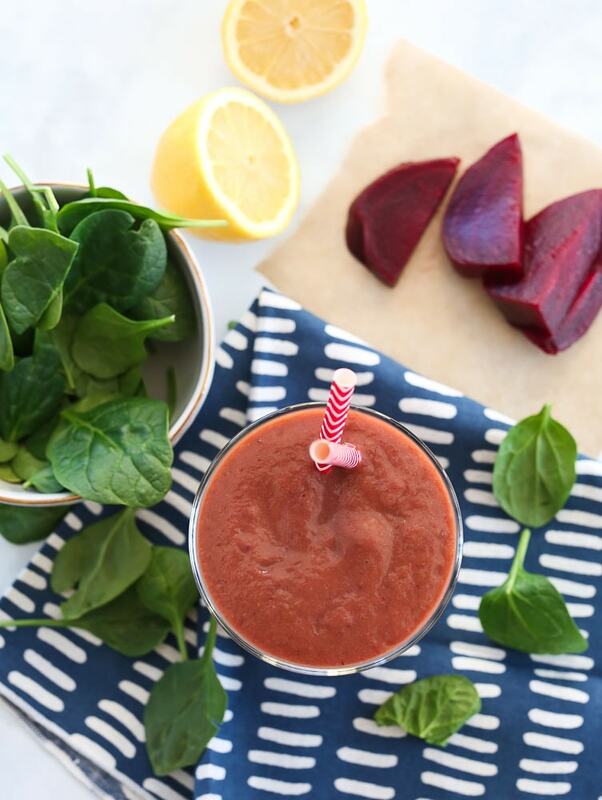 Let’s get back on track with this Detox Smoothie Recipe! Who’s in? 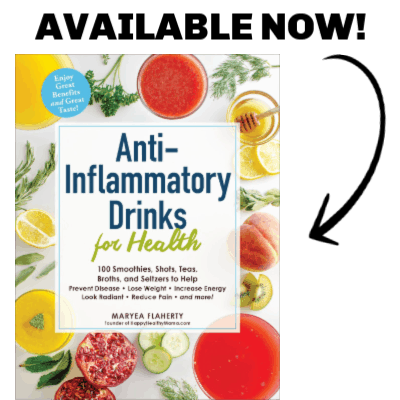 Help your body’s natural detoxification process with this Detox Smoothie Recipe! Put all ingredients into a powerful blender and blend until smooth. *The beet can be put in raw or cooked. If you’d like a milder flavor, steam it lightly for 10-15 minutes. 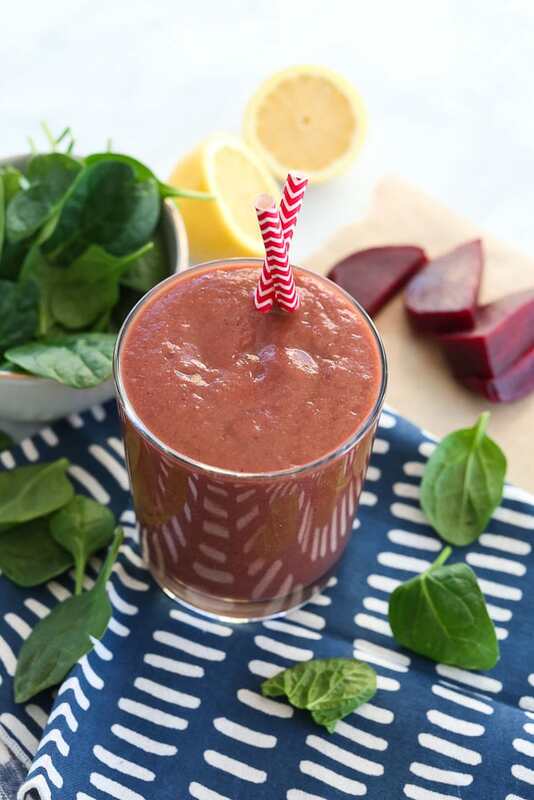 If you make this Detox Smoothie Recipe, or any Happy Healthy Mama recipe, I would LOVE to see it! Please take a pic and share it on Instagram or the Happy Healthy Mama Facebook page and tag me @happyhealthymama ?